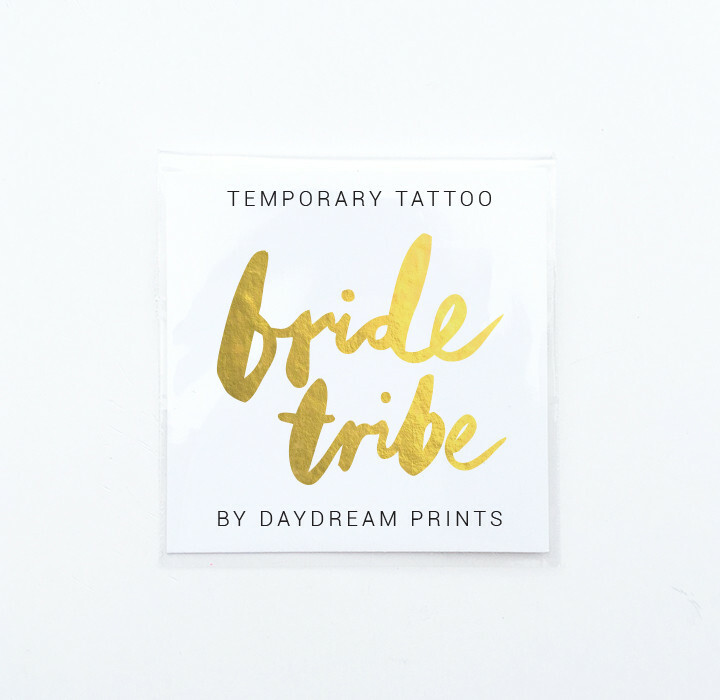 The Original Bride Tribe© tattoos by Daydream Prints. 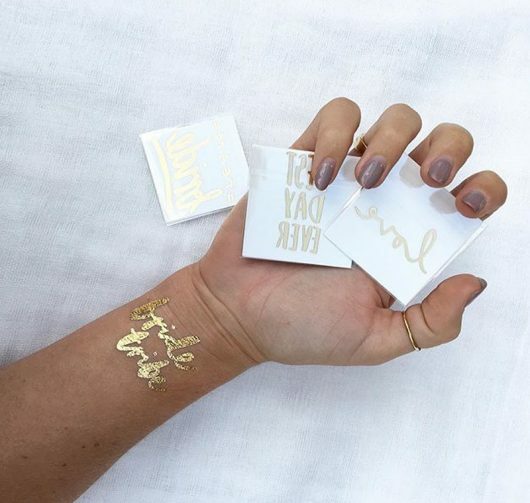 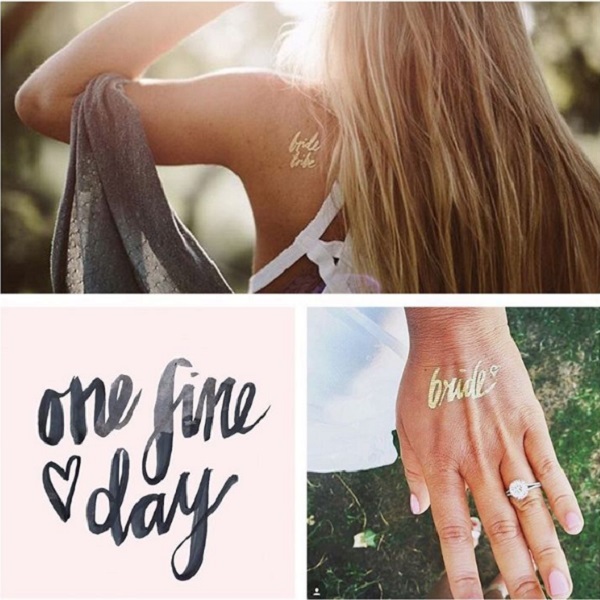 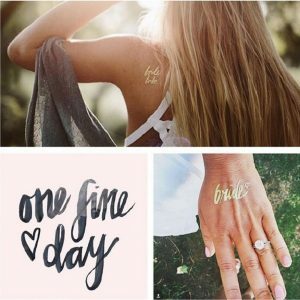 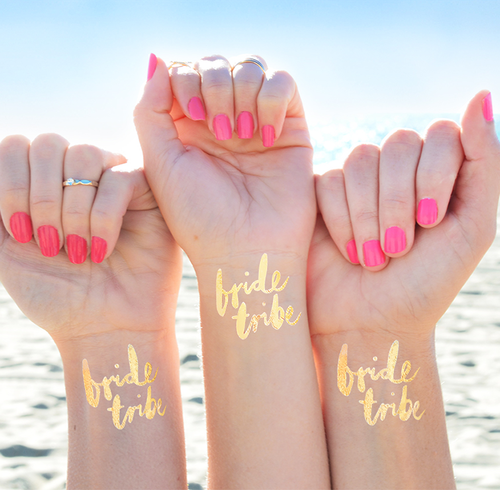 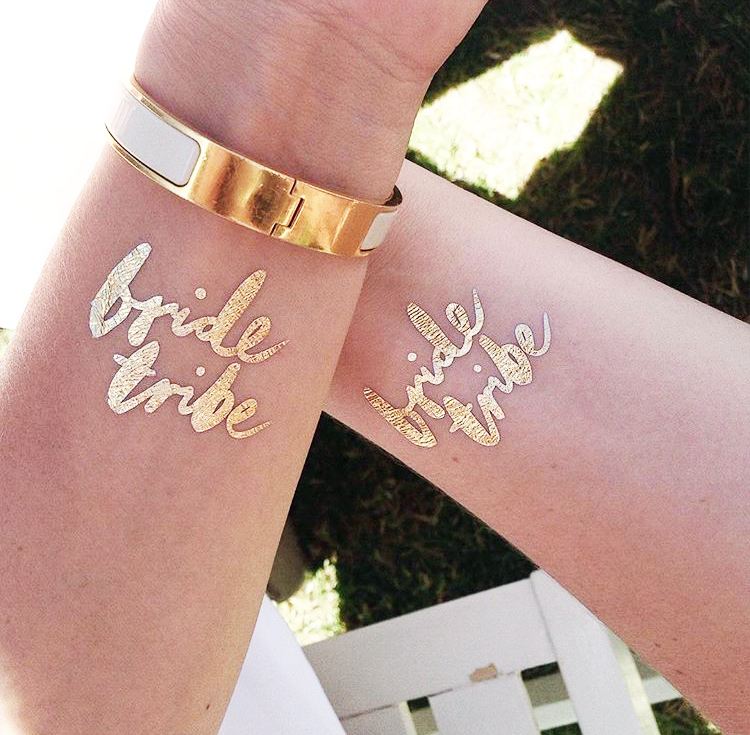 These stylish gold foil tattoos are a fun idea for bachelorette and hen’s parties, or as bridesmaid gifts on your big day. 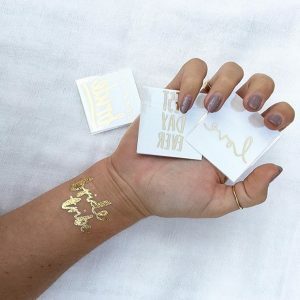 They also make for fun photos! 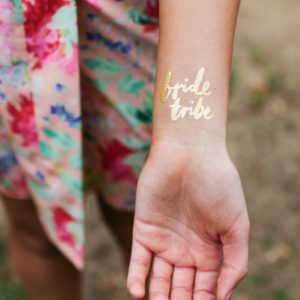 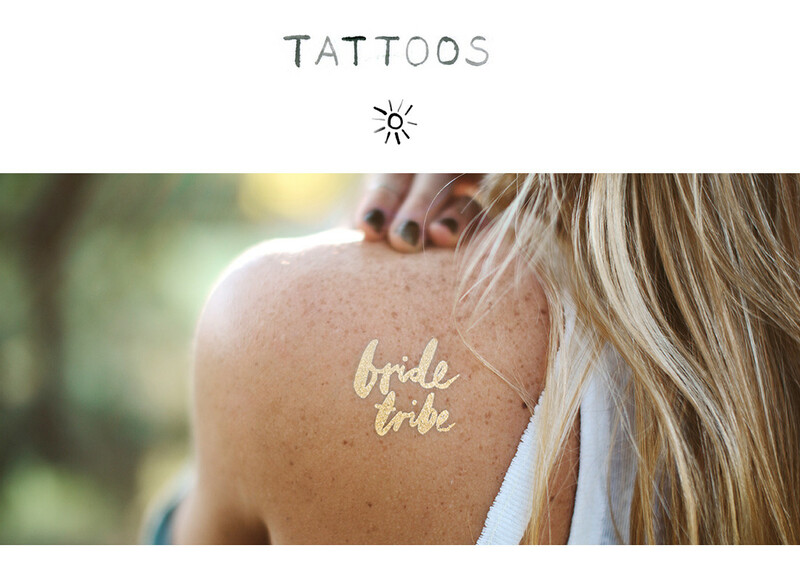 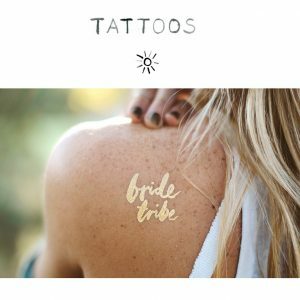 Single Bride Tribe Gold Foil Tattoo includes: 1 x Individually wrapped ‘Bride Tribe’ Flash tattoo. Application instructions included. Tattoo Size: 3.8 cm (W) x 3.3 cm (H) – Perfect size for the wrist.